Transparent green plastic tub. Big and bulky, not travel friendly, not hygienic sebab setiap kali nak guna kena celup berkali kali dalam tu. Better pakai spatula. Sticky kalau apply banyak but it absorbs fast. Love the scent. Refreshing and natural! 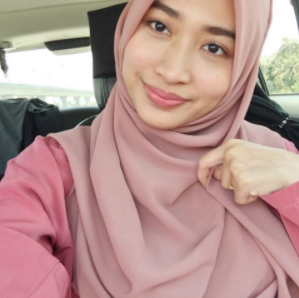 Rasa nak rendam muka dalam tu bila penat. 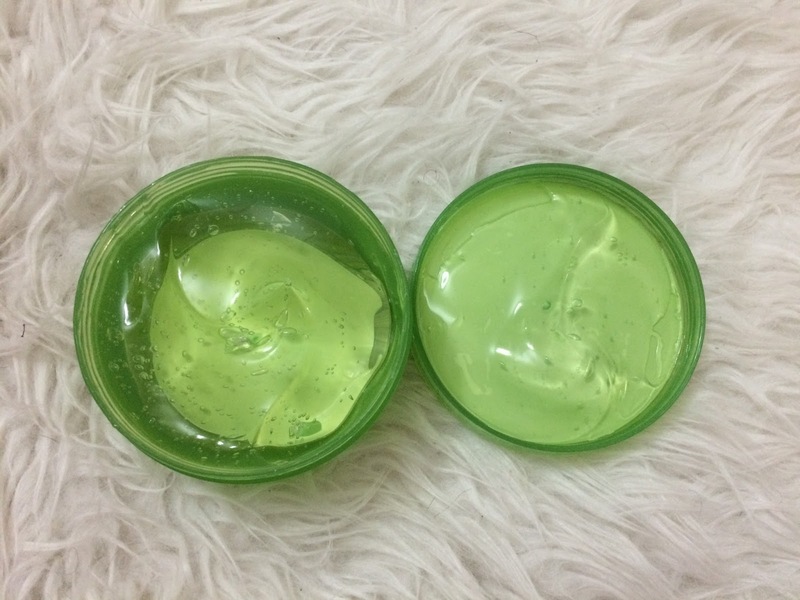 Can use as a moisturizer, mask, makeup base and after shaving cream. My face feels tight and irritates when I used it as moisturizer/mask. I think its probably due to the alcohol & parfum. Hence kalau dekat muka, I used as undereye gel to reduce puffiness. Or maybe because my skin is a bit sensitive/dry. Memang wajib ada tepi katil, setiap malam pakai sebelum tidur. 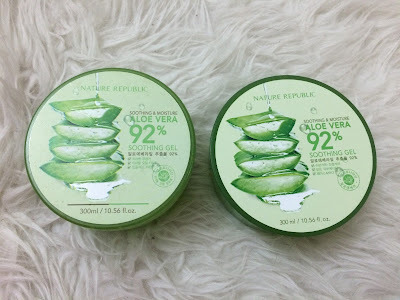 RM32.90 from Nature Republic's outlet. (I bought mine at Sunway Pyramid) Sometimes they got offer, 4 for RM100. Can also get it from hermo.my and althea.kr for cheaper price! Baik baik dengan fake products, especially from unauthorized online sellers. That's all. Thank you for reading!